Dave has played for nearly 60 years now. In the seventies, he was a member of the very popular London based band ‘The West End Stompers’. 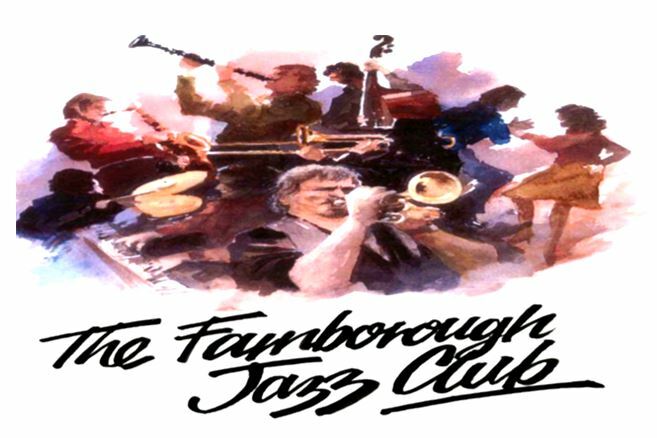 In the eighties, he joined Tony Scriven’s ‘Vintage Jazz’, with Jack Gilbert and Ray Holland and later, led the band for many years. He was with ‘Gambit’ and ‘Papa Joe’s’ bands throughout the nineties, before forming the ‘Sussex Jazz Kings’. He played for many years in Scotland with top bands. 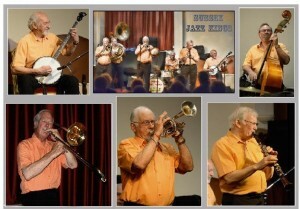 A very experienced trombone player and great vocalist and entertainer. Having had a break from playing for many years, he recently moved down to the South and we are very lucky to have found him and brought him back on to the jazz scene. He is now a popular and valued permanent member of our band. A very experienced player, with the bite of Johnny Dodds and the sweetness of George Lewis when required. Steeped in the classic jazz period, he also enjoys playing the less disciplined style of revival New Orleans Jazz. Bernard was with the ‘Frog Island Jazz Band’ for many years, playing all the classic Jelly Roll Morton, ‘New Orleans Wanderers’ and ‘Hot Five’ numbers. You will not hear a better Johnny Dodds style, classic rendering of ‘Perdido Street’ anywhere. Not only a superb New Orleans style drummer, but has been a band leader with ‘Gambit’ and a festival promoter for many years. He also has an immense knowledge of all aspects of jazz especially that played in the ‘Crescent City’. He can often come up with information and ‘little snippets of interest’ on stage. The band learn a lot of background ‘info’ from him. We are delighted to have him with us. Peter Clancy, string bass and Sousaphone. A brilliant string bass and Sousaphone player, that ‘gives it his all’ on every performance. He contributes with a superb, strong rhythm that is absolutely essential to the sound that the band produces. His Sousaphone-playing is very melodic and adds another dimension to the band on certain numbers. He also sings some numbers with the band. He has a wealth of experience in all facets of New Orleans Jazz. I first met Phil back in the seventies, when he was playing with the ‘Bill Brunskill Band’ and we have played together in many bands over the years. His playing rings out and his rhythm keeps the band under control if we get too excited. He is a wonderful asset to the band. Although the band is full of fun, the ‘Sussex Jazz Kings’ are very serious about playing the music we all love. Their intention is to play to a high standard, whilst hopefully, sending their audiences home with that ‘feel good’ factor. DAVE STRADWICK, BAND LEADER, ‘SUSSEX JAZZ KINGS’.